You want to give her something special. 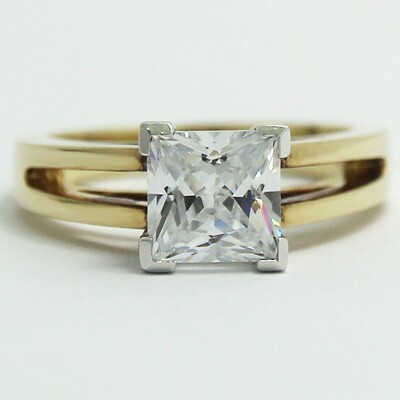 Simply choose an engagement ring setting, like the Split Band Princess Cut Engagement Ring 14k Yellow Gold. It features a traditional design that is understated but elegant. Next, make it perfect for her! 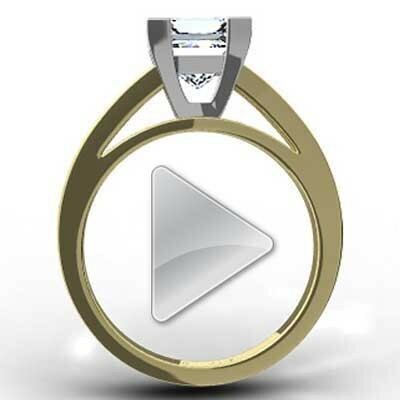 Add an engraved message to the inner band, upgrade the materials from 14K to 18K gold, and choose the cut and size of the centre diamond. 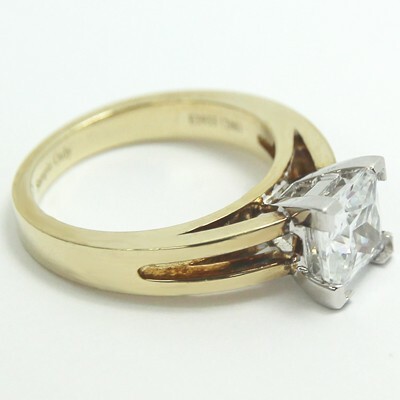 Once you put it all together you will be left with an engagement ring she will adore.